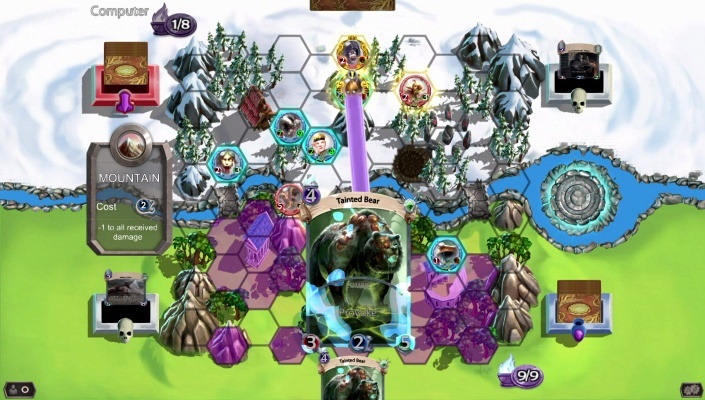 Rise Of Titans is a Free 2 play , Card TBS Strategy Multiplayer Game featuring 120 playable cards 36 cards of faction (12 cards for each faction) and 84 neutral cards and up to four types of skill categories . Through the inscriptions of Vugui, Ancient civilizations have been transported to Zorocu, where they will find the weapons, magic and creatures to start a battle never seen before. Choose your allies wisely, and become the most powerful Titans of them all. 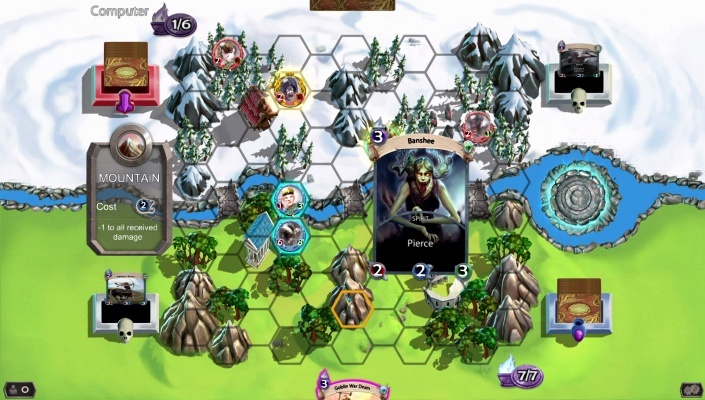 Rise of Titans combines the classic trading card strategy game with an interactive hexagonal board: cast spells to modify the environment and take advantage from your enemy. 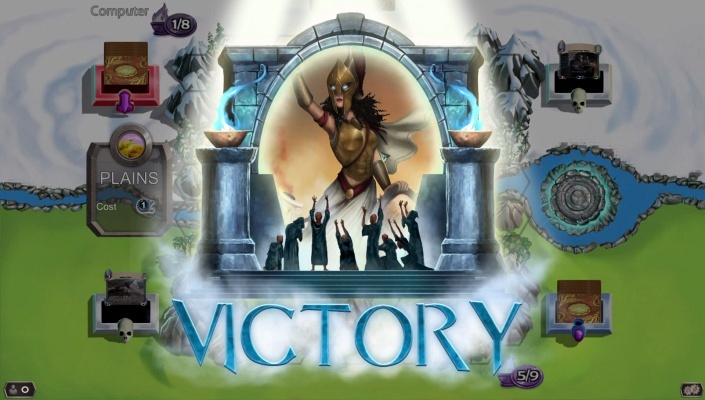 Become a God from ancient mythological words, collect a unique deck and defend your civilization. Titans have always untied the chaos and you are the chosen one to defeat them! Inside Zorocu’s forest there's an old portal, a place that once served the ancestors to carry out their rituals. Razet is the one that controls it, who rules the portal. She is undefeated, no one could resist her persuasion. They call her the Kingmaker... Razet is feared among Gods, and no civilization has been capable of burying her. She’s been using the civilizations one by one to thrive, and in return for destroying one, she’s only asked for one thing: never lose them. The old and eroded inscriptions of Vugi, that have always been used to contain and control the fury of the titans, have come back to life. An atrocious energy where time becomes relative, allures the ancestors to enter in Zorocu, a world where they’ll find the weapons to start a battle as never seen before. Titans, ancestors, civilizations, magical creatures... all of them will fight to find eternal peace. All our ancestors have suffered and battled against their attacks. Now they've found a new way to counterattack. 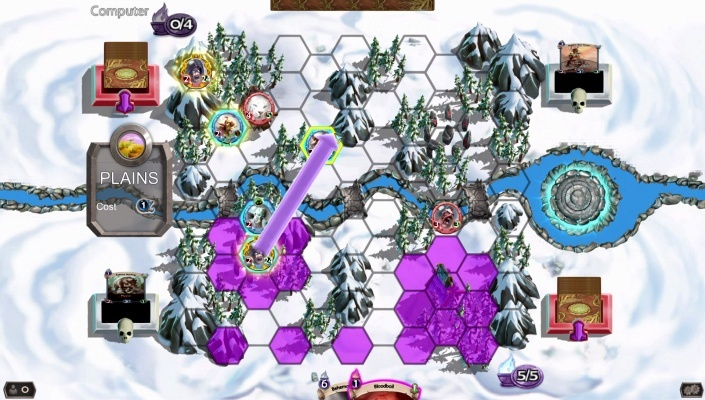 - Interactive Board - Nature is your ally, combine it with your strategy to increase your attack and defense. With your spells, you can also modify the terrain. Destroy a city or create a volcano, the power is yours ! - Collectible cards to personalize your deck - Different tribes with different attributes, choose between +100 cards to build your deck: Elementals, Giants, Humanoids, Humans, Spirits, zombies and beasts. Combine them and make a powerful unit to fight . - Three civilizations with unique cards and special artifacts - Be part of the wiseful Greek empire, led by Atenea, the mystic Egiptians led by Isis or the Norse people, guided by the brute Ullr . - Each Game Is Unique - Build your deck of 30 cards at the library, take time to plan your strategy on the field. 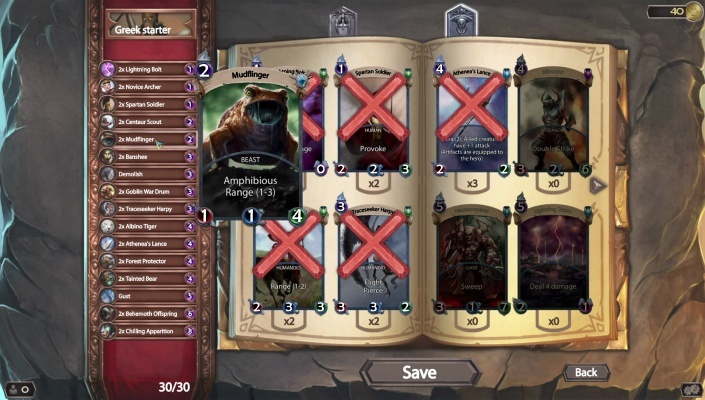 Each turn a random card will be drawn. There are endless strategies and possible combos ! - Daily Missions - Everyday there would be a new daily missions that, if completed, will give you gold that you can spend in the shop for card boosters. You can accumulate up to 4 missions. You can also sell you duplicated cards through the library .